or mortals, that you care for them? Now in subjecting all things to them, God left nothing outside their control. As it is, we do not yet see everything in subjection to them, but we do see Jesus, who for a little while was made lower than the angels, now crowned with glory and honor because of the suffering of death, so that by the grace of God he might taste death for everyone. It was fitting that God, for whom and through whom all things exist, in bringing many children to glory, should make the pioneer of their salvation perfect through sufferings. Angels have always been a unique topic. 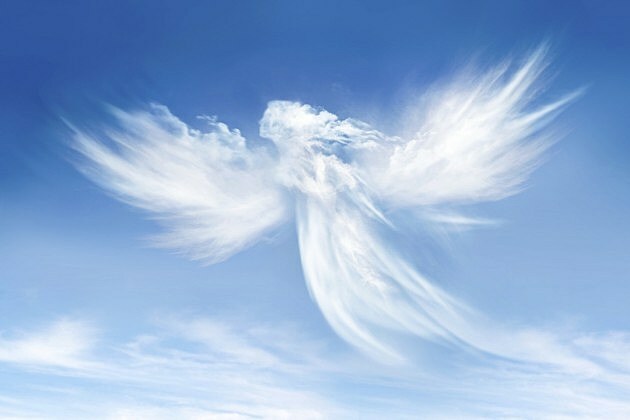 Most Christians believe in angels and view them as distant but helpful spirits. However, many of those same people avoid even talking about spirit entities outside of God. It takes us too close to idolatry, which is not just a modern problem, but as John shows us, was a problem for himself1: and the early church as well. Look at the passage from Hebrews again. This is a passage that points out the connection between vulnerability and authority. Angels, who do not suffer, serve in God’s presence. Yet it is human beings, who were “made a little lower” than the angels, to whom authority over the world was given. It is not strength, but vulnerability… or perhaps the ability to suffer, that is rewarded with authority in God’s Kingdom. This passage is not primarily about you and I. It is about Jesus. Jesus supersedes our own authority not because of His power, but because of His ability to suffer. This may be why He resisted the devil’s temptation in the wilderness. Without suffering, there is no authority rewarded. ““Very truly, I tell you, anyone who does not enter the sheepfold by the gate but climbs in by another way is a thief and a bandit. The one who enters by the gate is the shepherd of the sheep. The gatekeeper opens the gate for him, and the sheep hear his voice. He calls his own sheep by name and leads them out. When he has brought out all his own, he goes ahead of them, and the sheep follow him because they know his voice. They will not follow a stranger, but they will run from him because they do not know the voice of strangers.” Jesus used this figure of speech with them, but they did not understand what he was saying to them. So again Jesus said to them, “Very truly, I tell you, I am the gate for the sheep. All who came before me are thieves and bandits; but the sheep did not listen to them. I am the gate. Whoever enters by me will be saved, and will come in and go out and find pasture. The thief comes only to steal and kill and destroy. I came that they may have life, and have it abundantly. Jesus ties together willingness to suffer for… responsibility, with authority. He has “bought” us and gained authority over us through His suffering for us. He took the bullet the angels never would. Who do you suffer for? Are you willing and able to suffer for those God has put you in charge of? all grating against illa nocte. hiding a zeal above raw destiny. into nets, danger enveloping each dread. by a lamp’s light over today. care and useful caution under succulence.